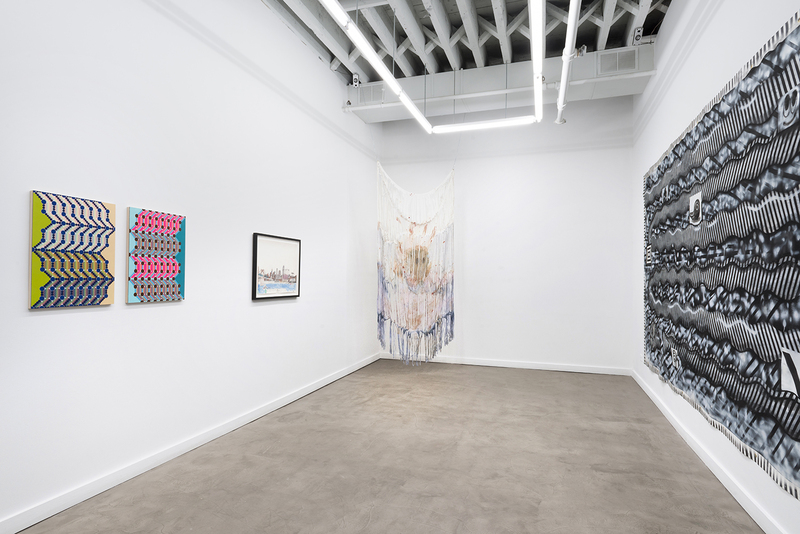 This rambling celebration on the occasion of the gallery’s ten-year anniversary as a bricks-and-mortar space is cheekily titled after the eponymous Andrew W.K. anthem, “Party Hard.” The moniker adds both an air of revelry and defiance to the works exhibited, implying that director Scott Speh and the artists on his roster are fueled by passion and vision rather than a pursuit of conventional success. The show is an exercise in polarity, oscillating between extremes in scale and tone. Upon entering the gallery, the viewer is confronted by the first of two sigil paintings by Elijah Burgher. Fresh from the Whitney Biennial, these painted drop cloths are installed back to back, dominating the initial visual field. Situated in the corner of the same room are two bongs, “Uncle Sam/Old Yeller” by Ben Stone. They seem slightly out of place in an area otherwise devoted to minimalist and conceptual works but add levity while reiterating the rebellious tone set by the title. Shown on a wall conjoining the gallery’s two rooms, the smallest work in the show piques the most intrigue. The 6¼” x 4½” work features contemporary content but is printed on a yellowing, vintage page from the artist’s ongoing, quasi-fictional exercise in self-ethnography, “Nicholas Frank Biography.” Ostensibly part of a complete memoir of sorts, the work teases by presenting a single page without the context of a larger narrative. Here is coarse reproduction of a screenshot from the Who Wore it Better blog, juxtaposing a still from Frank’s performance “The Secret Choreographer” with an aesthetically similar one from a Beyoncé music video. 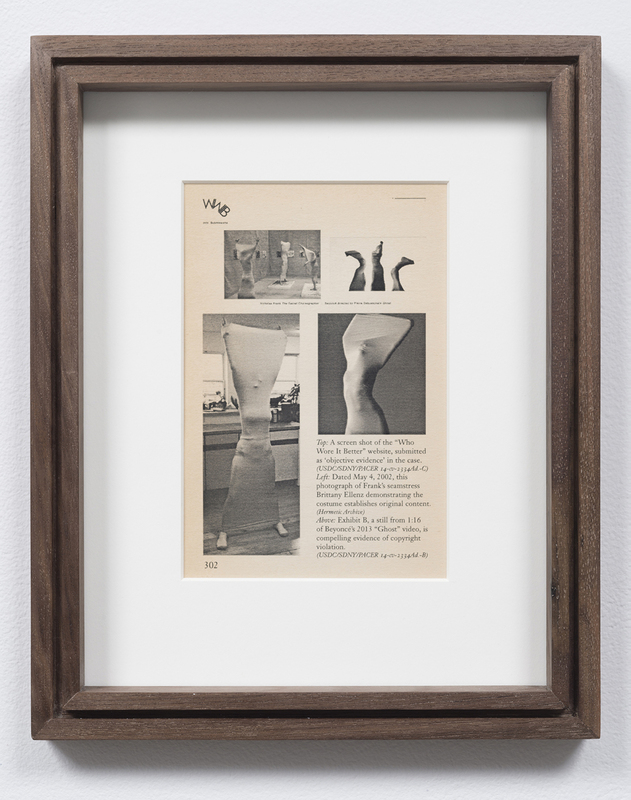 The mini meta-reproduction seduces and reaffirms the printed page as a relevant medium. Through July 19 at Western Exhibitions, 845 West Washington.